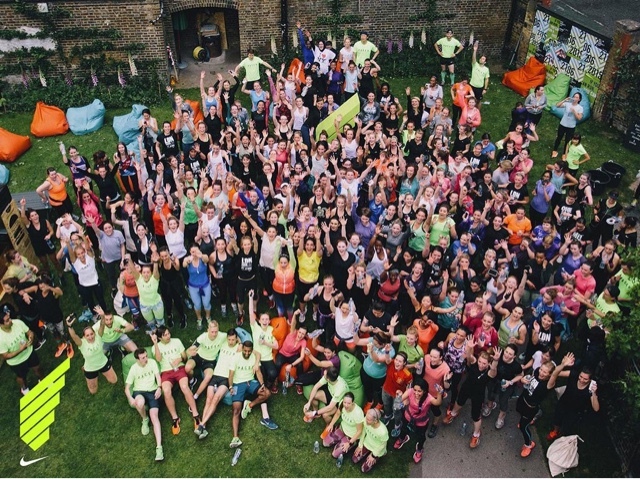 I bet you’ve never seen over 250 women dressed in neon clothing with a large range of Nike trainers on, running through central London? No, non of the tourists, business workers and people outside pubs had either, as groups of us paced around the city in a training run, in the run up (excuse the pun) to the Nike Women’s 10km race on 21st June. 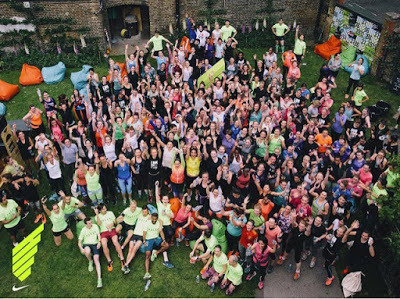 We were invited via email to do the “longest run” – which, cheekily didn’t specify how long. With the hope I would push myself in preparation for the 21st, I eagerly signed up (twice in fact, by accident). Upon arrival at the NikeTown store at Oxford Circus I was overwhelmed by the amount of woman and pacers there! Also the range of lovellyyyy Nike gear also took my fancy, but quickly lost my interest once I saw the prices. After dropping my bag off, we were asked to do a quick bum wriggle warm up with a partner before heading off in to groups for 10, 9 or 8km. I felt confident and headed off with the 10km group, probably the biggest there, as we paced across the road and right through Mayfair to the Mall. 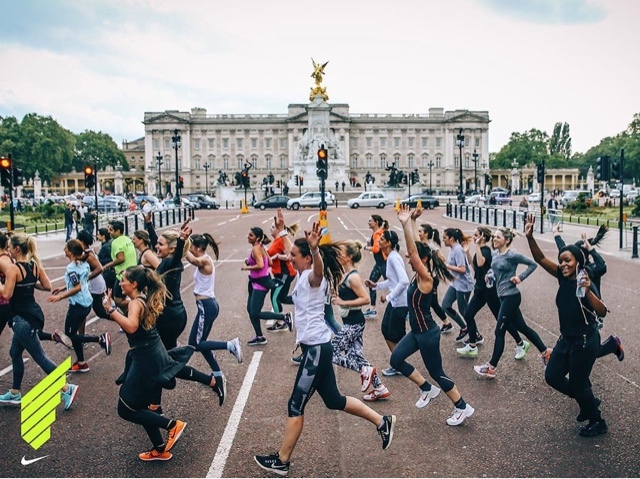 We waved to the Queen as we ran on via Buckingham Palace and past Big Ben. The atmosphere was great, people’s reactions hilarious and the group was friendly. Every now and again we stopped to keep the group together and were challenged with squats, burpies and other uncomfortable moves. 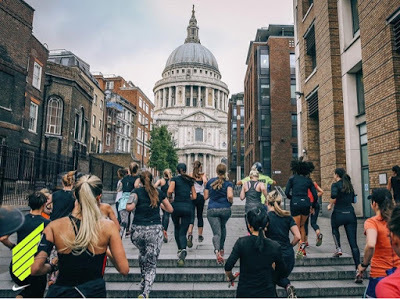 I managed to get a good pace going as we ran down by the river opposite the office and past St. Paul’s towards the city. In East London we headed into Shoreditch to what seemed to be an old school, now a food diner location where we eagerly exchanged a small voucher for a burger or salad for dinner (salad?! Pfft I had earned that burger)! There were bean bags, water and fresh juice to relieve us too. I chatted to a couple of girls and having retrieved my bag and a piece of rye bread I headed home to recover and chill out.